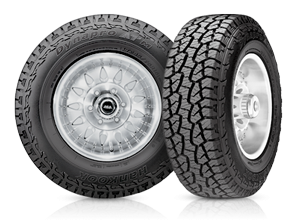 Shively Hardware has been offering tires to their customers since the middle of last century. 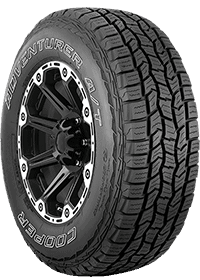 Need tires for your pickup, passenger car, trailer, farm vehicle, or ATV? Shively Hardware has them. Because Shively Hardware has group-buying power, we can reduce our purchase and distribution costs, and then pass those savings on to you on top brand tires recommended by your vehicle’s manufacturer. That means you can get Goodyear, Cooper, Hankook, Kelly, Dunlop, Falken and Yokohama—all the big names carried at that the largest national tire chains—at prices just as low or even lower. We are part of the the Tire Factory, a group of independent tire dealers who joined together to create one of the West’s fastest growing tire retail organizations. That's where our group-buying muscle comes from, and that's what lets us stock the tires you need at the prices you want. Your safety and comfort on the road are the top priority at Shively Hardware. And to prove it, our warranties, protection, and service go beyond what the large national chains can provide. At Shively Hardware, you get the best of both worlds: the quality you expect, and low prices you want. Give us a call or come in and let our tire experts get your vehicle back on the road!